With Halloween right around the corner, there’s no better time to explore scary situations. So I’m digging into one with which I’ve had some up-close-and-personal experience: the upside-down car. In other words, owning more on your car than it is worth. Maybe you’ve been there too? This conundrum taught me two important life lessons. First, arbitrarily buying and surprising your spouse with a brand-spanking-new vehicle that he or she has no interest in (in this case, a minivan) is not a smart move. Second, when you trade in your nearly new vehicle a few months later, you’ll likely begin a downward spiral that sends you underwater. Buy used. According to CARFAX, the average new car depreciates 10 percent when you drive it off the lot and an additional 10 percent within the first year. Instead of buying new, look at a lightly used vehicle. Most carmakers offer certified/pre-owned programs that provide quality control, a robust warranty and a significant discount. Bring some cash to the table. A 10- or 20-percent down payment may not keep you totally above water, but it will help. Plus, it will yield a smaller monthly payment and may expand your loan options. Go short. Speaking of loans, a shorter loan will help keep you in positive territory. Each month you’ll be knocking out more of the principal balance. 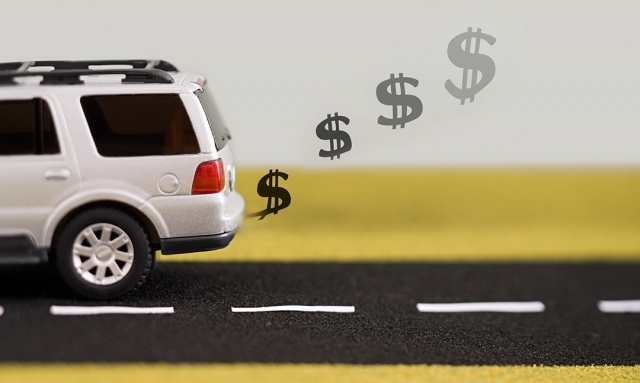 Shoot for a car loan of five years or less, and shop for the best rate. Round up your car payment. Let’s say you’ve got a $25,000 loan at 4 percent interest. The payment would be $460. By rounding your payment up to $500, you knock more than six months off the loan term. Drive your way out of trouble. Even if you need a deep-water submersible to survive the depths of your upside-down auto loan, there’s always a way to the surface: keep driving the vehicle. Sure, it could take years, but if you avoid the temptation to switch vehicles, you’ll drive your way to a clean slate and a new opportunity to do things right.